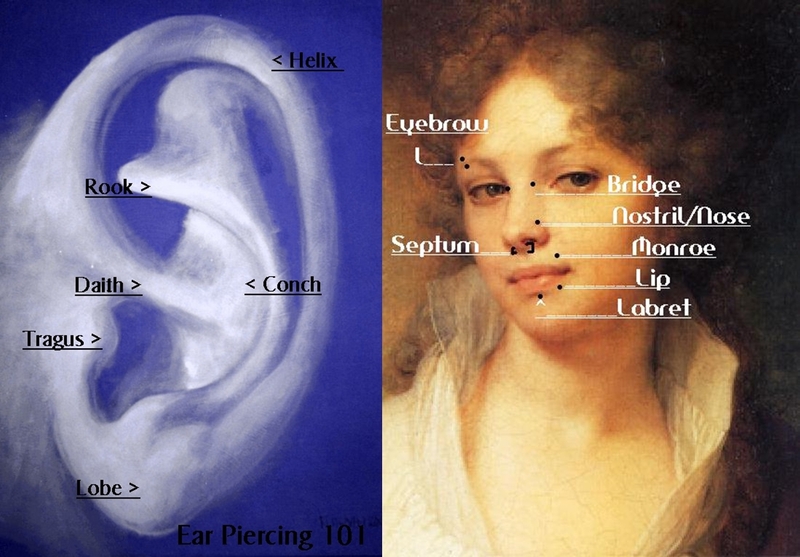 Not sure what piercing you want? Check here for some ideas and common names. 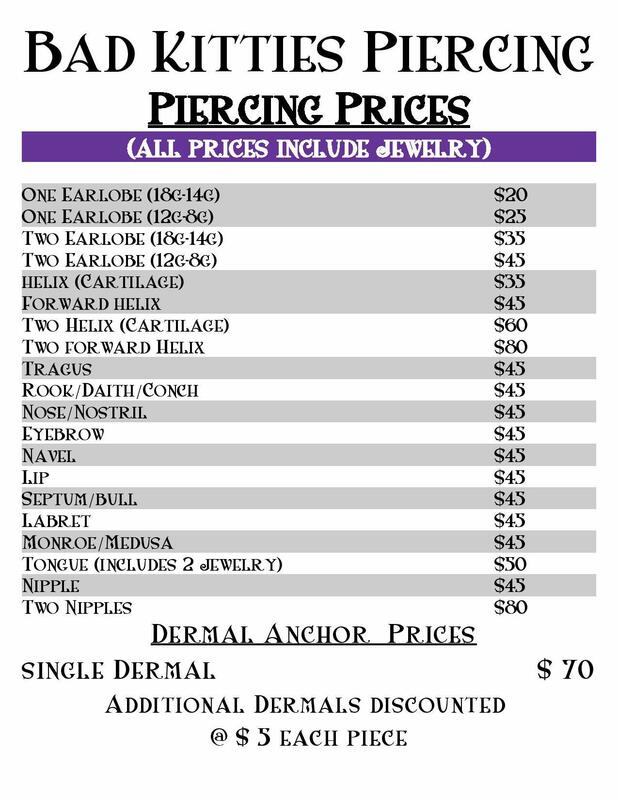 Prices for all Piercings include the jewelry!